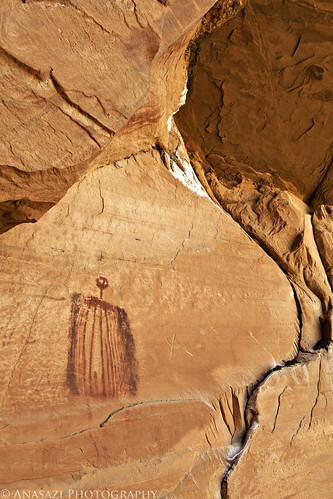 This is just one of many very unusual Barrier Canyon Style pictographs found in a large alcove and known as the Birdcage Panel. This isn’t the only figure here with a small round head, but it certainly is the most prominent and can be seen from down canyon if you know where to look. I’ll be posting some more photos from this panel in the next few days.